Fiction writer Lily Hoang makes her first appearance in the New Writing Series on Thursday, September 27, at 4:30pm in the Soderberg Center Auditorium (Jenness Hall) on the flagship campus of the University of Maine system in Orono. This event is free & open to the public, though seating is limited. UMaine Assistant Professor and fiction writer Greg Howard will host. 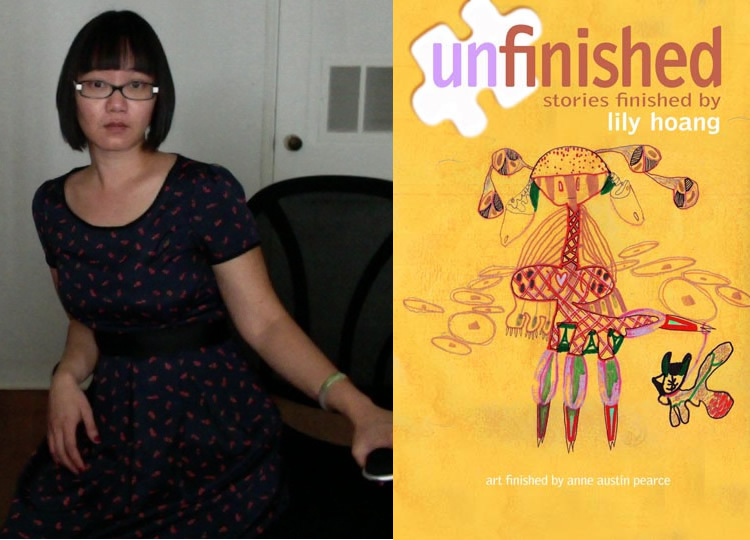 Lily Hoang is the author of four books: Unfinished, The Evolutionary Revolution, Changing (recipient of a PEN Beyond Margins Award), and Parabola (winner of the 2006 Chiasmus Press “Un-Doing the Novel” Contest). With Blake Butler, she co-edited the anthology 30 Under 30, and she is currently co-editing a two volume anthology, “The Force of What’s Possible: Essays of Accessibility and the Avant-Garde” with Joshua Marie Wilkinson. She serves as Prose Editor at Puerto del Sol, Associate Editor at Starcherone Books, and Editor at Tarpaulin Sky. She teaches in the MFA program in Creative Writing at New Mexico State University and can be found virtually at the literary blog HTML Giant. On Facebook? Consider joining the NWS group here. 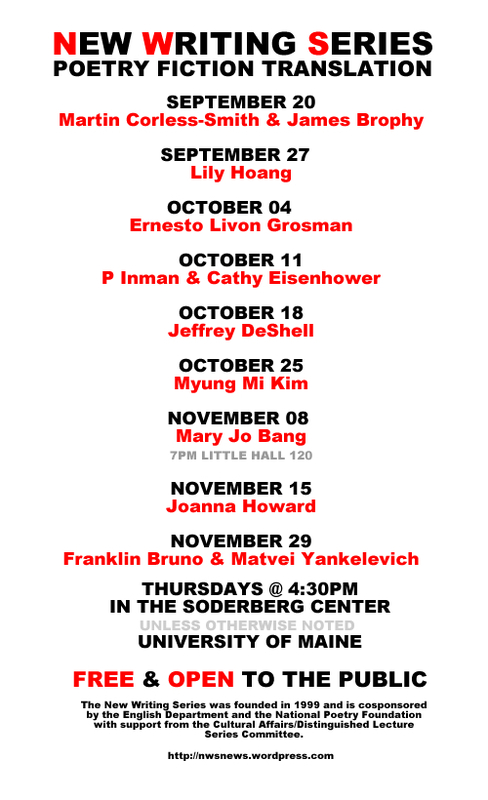 The UMaine New Writing Series is sponsored by the English Department and the National Poetry Foundationwith support from the Lloyd H. Elliott fund, the Milton Ellis Memorial Fund, the Honors College, and the Cultural Affairs/Distinguished Lecture Series Committee. Grateful acknowledgment is made to the Pulp & Paper Foundation for the use of the Soderberg Center. For more information contact Steve Evans at steven dot evans at maine dot edu or at 207-581-3818. If you have a disability that requires accommodation for a NWS event, please contact Ann Smith in the office of Disability Support Service, 121 East Annex, 581-2319 (Voice) or 581-2311 (TDD).